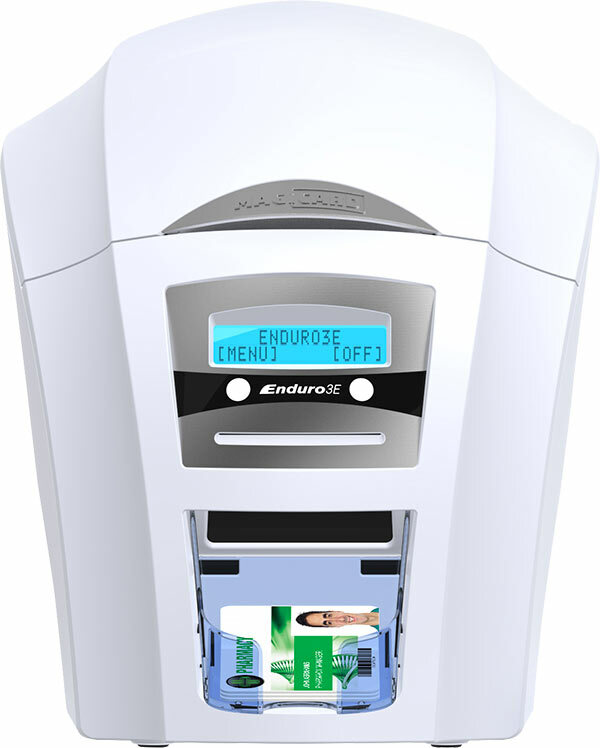 The Enduro printer can be ordered single or double-sided. For added flexibility, a simple drop-in upgrade is available for customers whose needs change from single to double-sided cards. The Enduro offers magnetic stripe encoding option and HoloKote visual security in 4 watermark designs.